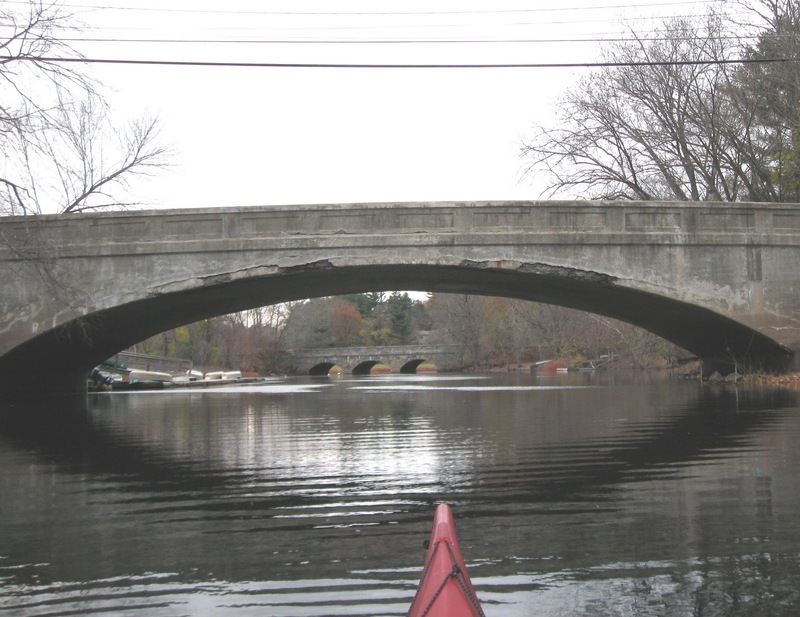 Late this afternoon, I returned from a trash patrol to Heath's Bridge in Concord and was able to say "So long" to the last hour of Daylight Savings Time in 2010 as I approached the Route 62 bridge pictured at left. 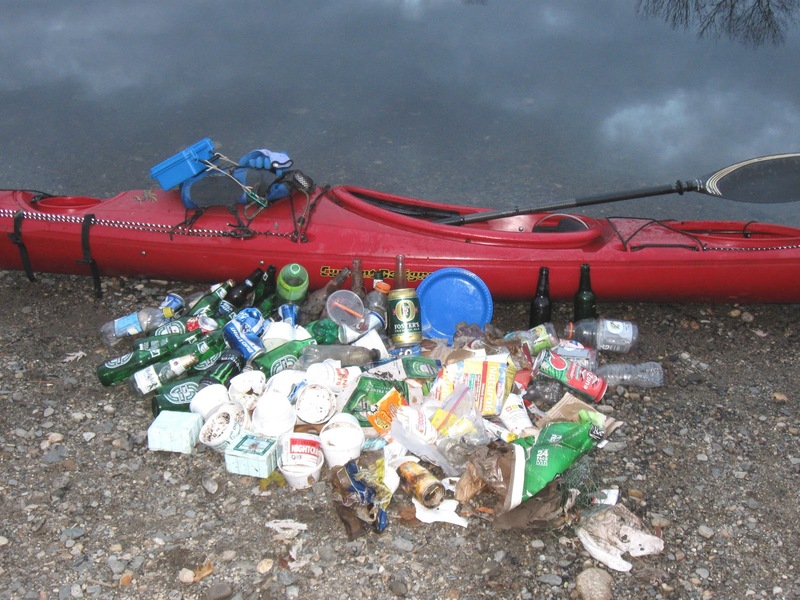 They numbered 133 and consisted of 56 recyclable containers (37 redeemable) and 77 pieces of miscellaneous rubbish such as 25 bait tubs, several wads of monofilament fishing line, beer packaging, styrofoam coffee cups, plastic bags, etc. YTD total stands at 5865. 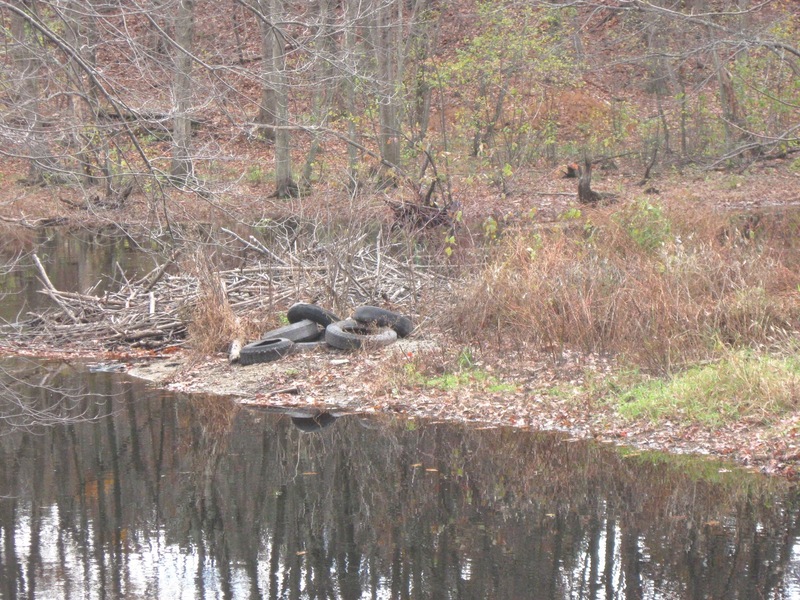 Earlier today, I stopped alongside River Street in Acton to get a photo of these 6 automobile tires that recently appeared on the bank of Fort Pond Brook. I drive past this spot frequently and never noticed these tires before today. 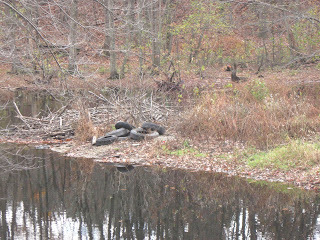 Somehow, I doubt the beaver that lives in the lodge behind the tires brought them home to munch on. 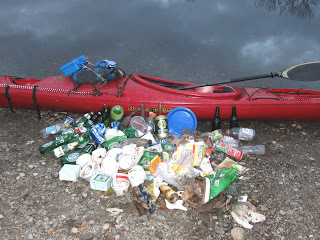 I love that there is someone else picking up the garbage from rivers on daily paddles. We do this on the Penobscot River in Maine. I was a little discouraged last week to find a message in a bottle. Why? It was bottle 25,802. I'll post that blog this week. But today it is a ray of sunshine to see others pulling bottle out! PenobscotPaddles, Thanks for dropping-in. 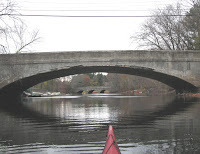 This afternoon I enjoyed a visit to your fine blog on the salty environs of the Penobscot River and plan to re-visit often. Being from Massachusetts, I have to admire the common sense your state displays with its "Expanded" Bottle Bill. All containers (except dairy/cider) are redeemable whether they held water, liquor, sports drinks, etc. Our legislators can't seem to make such a simple change in policy.